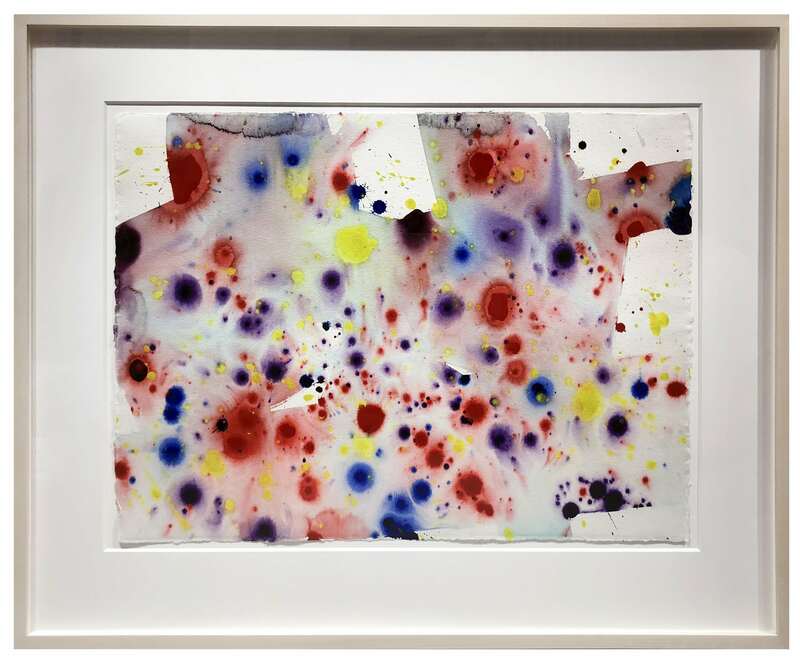 Sam Francis (1923–1994) was an American Abstract Expressionist whose paintings and prints have received international acclaim. Often associated with the second generation of Abstract Expressionists whose work emerged in the 1950s, Francis’ pioneering style helped to establish the movement on the West Coast as well as throughout the world. His vibrant canvases—often massive in scale—have also been claimed by the Color Field movement of the 1950s because of their richly saturated hues. That Francis’ art cannot be reduced to a single movement speaks to his consistently innovative interpretations and manipulations of color throughout the second half of the twentieth century. Francis maintained studios in Los Angeles, New York, Bern, Tokyo, and Paris while exhibiting throughout the United States and Europe. His extensive travel not only situated his work within an international milieu, but also greatly informed his practice through contact with new aesthetic sensibilities. Inspiration from French masters including Claude Monet and Henri Matisse reinforced Francis’ predisposition for luminous color. Yet his dripping, organic forms can at times appear brooding and contemplative, recalling his early encounters with works by Mark Rothko and Clyfford Still. Francis’ original motifs and evocations of vast space demonstrate his energetic curiosity and absolute mastery of color. 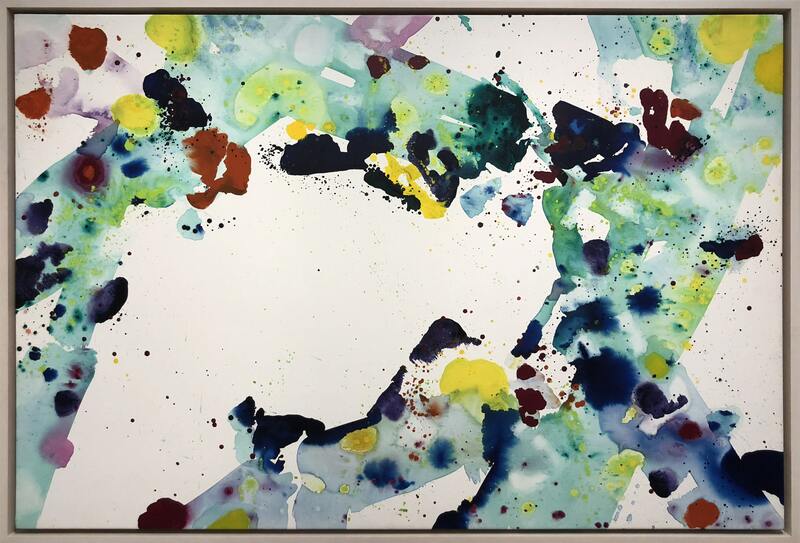 Sam Francis was born in San Mateo, California to Samuel Augustus Francis, Sr. and Katherine Lewis Francis. He enrolled at University of California, Berkeley where he began taking preliminary courses in medicine. During the war, Francis temporarily suspended his studies to join the Army Air Corps as a fighter pilot. However, a plane accident during a training exercise left Francis critically injured. He spent nearly two years immobilized in bed while recovering from spinal tuberculosis. Although he had no previous experience, Francis found painting therapeutic and quickly discovered an innate ability. Upon recovery, Francis returned to his studies in Berkeley where he completed both his bachelor’s and master’s degrees in painting and art history. In the early 1950s Francis used his G.I. bill to study at the atelier of Fernand Léger in Paris, establishing himself within the international art world as an emissary of American abstraction. Influenced by the quality of Parisian light, Francis’ paintings were temporarily drained of color. He focused instead on a monochromatic palette in preparation for his mature style. Works from his time in Paris have an ethereal, painterly quality that distanced Francis from the gestural works of his Abstract Expressionist predecessors. Francis’ compositions became increasingly activated by instability and empty space. His work was championed by Parisians Claude Duhuit—the son-in-law of Henri Matisse—and Michel Tapié and in 1952 Francis received his first solo exhibition at Galerie Nina Dausset in Paris. 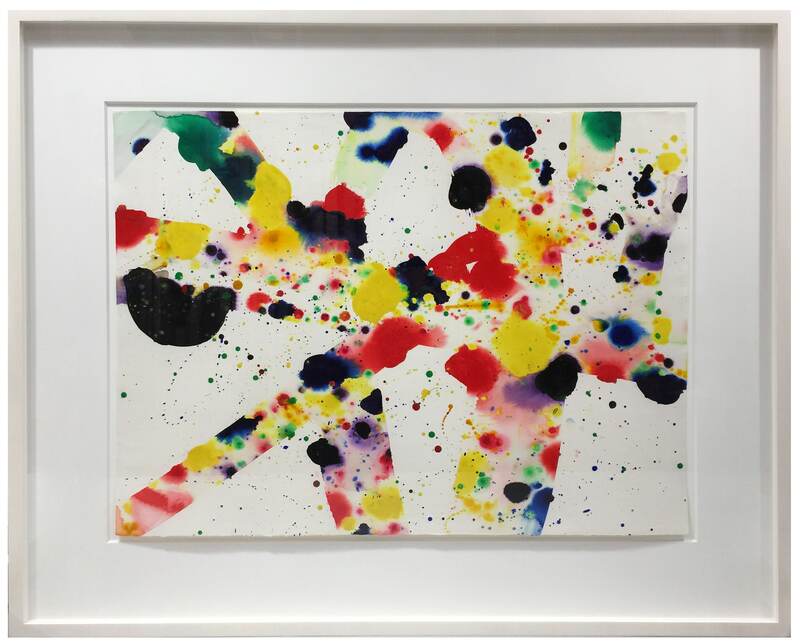 By the mid 1950s Francis began working in the style for which he is well known, creating cell-like shapes of primary colors clustered within white space. By 1956, Francis was recognized as “the hottest American painter in Paris” by Time Magazine. He traveled to Tokyo one year later to paint a mural for the Sogetsu School. In 1958 he was included in an exhibition at the Museum of Modern Art, New York called “The New American Painting.” Other artists exhibiting were: Jack Tworkov, Theodoros Stamos, Barnett Newman, Franz Kline, James Brooks, Philip Guston, and William Baziotes. Francis’ style in the later 1950s expanded to a much larger scale. These mural-sized works are dominated by bright, open space bordered by colorful and compelling abstract forms. During the later part of the 1950s Francis began traveling and working in Japan where he drew inspiration from Japanese aesthetics and philosophy. Francis continued to travel throughout the 1960s, living and working again in Paris and then in Bern, Germany. Following health concerns in 1961, Francis returned to California, first living in Santa Barbara and then moving to Santa Monica. During the second half of the 1960s Francis developed his Edge Paintings both on canvas and paper. He is also recognized for reviving the art of color lithography during this time. In Santa Monica, Francis purchased a property on West Channel Road that became his permanent home base. However, he continued to travel and exhibit frequently in Japan. In 1968 he was recognized for his international accomplishments with an honorary Ph.D. from his alma mater, University of California, Berkeley. Francis lived primarily in Tokyo during the early 1970s, though he continued to work internationally and exhibit in many of the world’s major cities: Paris, New York, Chicago and Los Angeles. 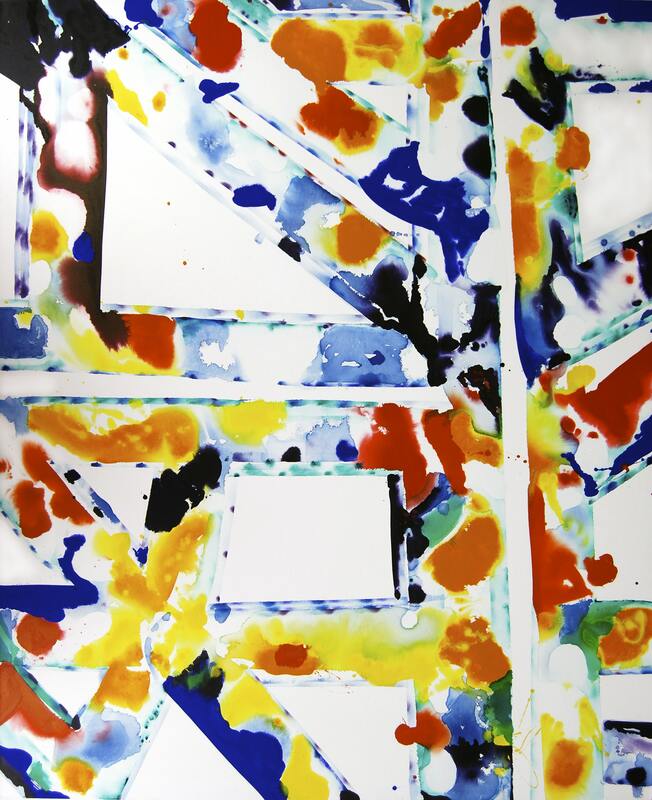 A monograph, Sam Francis, was written and published in 1975. 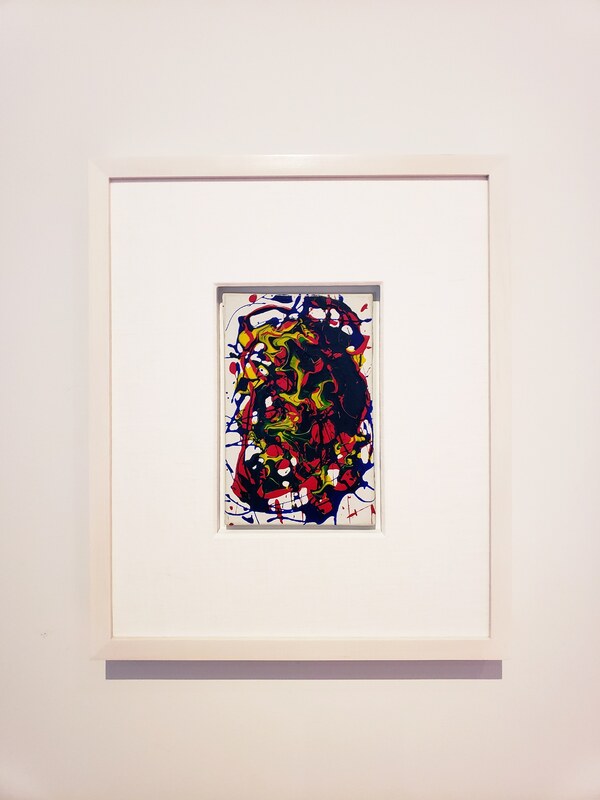 Francis then began to collaborate with Garner Tullis in a series of monotypes and prints. His style in the mid to late 1970s is full of movement and color. Effervescent grid-like structures are presented in bright color on crisp white paper and canvas. Toward the end of the decade, these rectangular grids became more sharply delineated with complex, dark colors: deep blues, dark purples, and rich reds and yellows. Francis began working at a studio in Venice, California in 1987, but continued to travel and work abroad until the end of his career. He maintained a studio near Manchester, England in Moss Farm as well as in Santa Monica, Palo Alto and Venice, California. Francis continued to create passionate, joyful works until the end of his career. An important body of work was created during his last year in 1994. After not being able to paint for over a year due to his metastatic cancer, Francis’ creative energy led him to make an important group of works in the six months before his death known as The Last Works, a group of 152 paintings on canvas and panel. Bold, bright, and incredibly energetic, characterized by thick applications of paint and contrasting colors. The Last Works, when viewed in their entirety appear as a retrospective of the artist’s career. Francis’ work from that year was prolific and beautiful, and filled with exuberance that will always endure. 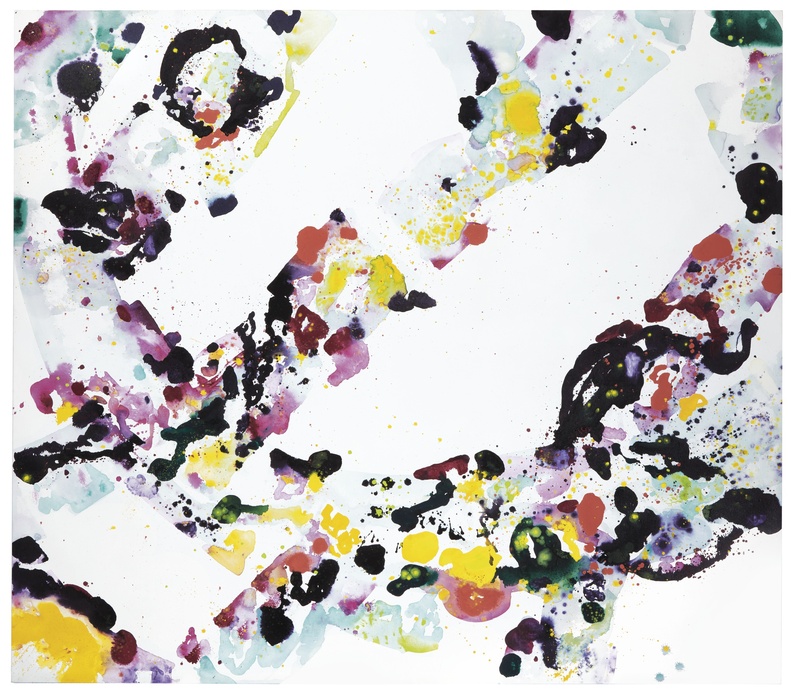 Sam Francis died in Santa Monica, California on November 4, 1994.